BLM supplement card has been added to the Love It, Share It nutritional supplements card page. Click/touch here to find the card in alphabetical order on the Love It, Share It supplements page. This entry was posted in Bloom, Care Club, Love It, Share It, Marketing Material, YL Supplements and tagged AgilEase, Bloom, Care Club, Essential oils, Love it Share it, Supplements, The Oil Posse, Young Living on May 16, 2018 by Jordyn Lei. A Love It, Share It card for ART Intensive Moisturizer has now been added to the “Infused Products” page (near the top with the other ART cards). Click/Touch here to go to the Love It, Share It Infused Products page. This entry was posted in Bloom, Care Club, Love It, Share It, Marketing Material and tagged ART, ART Intensive Moisturizer, Care Club, Essential oils, Love it Share it, The Oil Posse, Young Living on May 15, 2018 by Jordyn Lei. 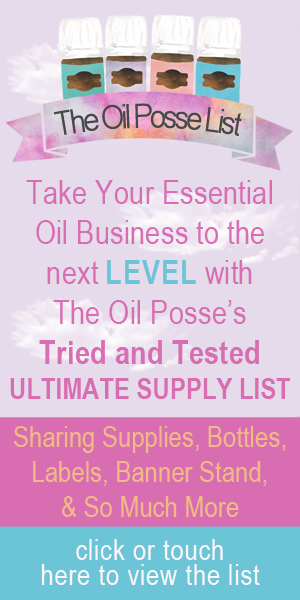 This entry was posted in Animal Scents, Animals, Flyer, Marketing Material, Pets and tagged Animal Scents, Animal Scents Oil Collection, flyer, The Oil Posse, The Oil Posse Team, Young Living on May 14, 2018 by Jordyn Lei. *Ingredients Updated for 2018. A Love It, Share It card for Animal Scents Ointment has now been added to the Animal Scents page. Click/Touch here to go to the Love It, Share It Animal Scents page. This entry was posted in Animal Scents, Animals, Bloom, Care Club, Love It, Share It, Marketing Material and tagged Animal Scents, Bloom, Care Club, Essential oils, Love it Share it, Marketing Material, Ointment, Samples, Sharing, The Oil Posse, The Oil Posse Team, Young Living on May 11, 2018 by Jordyn Lei. Melissa essential oil card has been added to the DIY Love It, Share It card page. Click/touch here to find the card in alphabetical order on the Love It, Share It singles page. This entry was posted in Bloom, Care Club, Love It, Share It, Marketing Material, YL Single Oil and tagged Bloom, Blue Cypress, Care Club, Essential oils, Love it Share it, Marketing Material, Samples, Sharing, The Oil Posse, The Oil Posse Team, Young Living on May 9, 2018 by Jordyn Lei. Marjoram essential oil card has been added to the DIY Love It, Share It card page. Click/touch here to find the card in alphabetical order on the Love It, Share It singles page. This entry was posted in Bloom, Care Club, Love It, Share It, Marketing Material, YL Single Oil and tagged Bloom, Blue Cypress, Care Club, Essential oils, Love it Share it, Marketing Material, Samples, Sharing, The Oil Posse, The Oil Posse Team, Young Living on May 8, 2018 by Jordyn Lei. Thyme essential oil card has been added to the DIY Love It, Share It card page. Click/touch here to find the card in alphabetical order on the Love It, Share It singles page. This entry was posted in Bloom, Care Club, Love It, Share It, Marketing Material, YL Single Oil and tagged Bloom, Blue Cypress, Care Club, Essential oils, Love it Share it, Marketing Material, Samples, Sharing, The Oil Posse, The Oil Posse Team, Young Living on May 4, 2018 by Jordyn Lei.